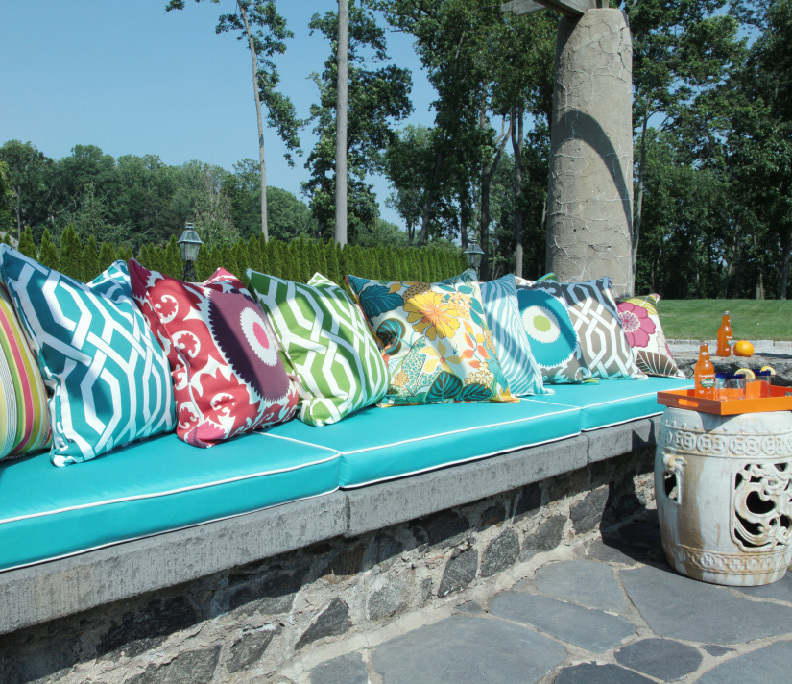 Do you need custom replacement cushions for your outdoor furniture? Whether you need outdoor chair cushions, outdoor chaise cushions, outdoor bench cushions, or even outdoor seat cushions for your boat, we provide the highest quality of workmanship. For your indoor furniture, we provide custom chair cushions, bench cushions, window seat cushions and chair pads all created to fit your furniture perfectly while coordinating with existing decor. At Calico, cushions are custom made to fit your seating. Choose from Boxed cushions, Bullnose cushions and Mock Box cushions with Turkish corners. Add contrast welt or decorative trim to suit your style. Foam cushion inserts are wrapped in Dacron for added softness. Outdoor foam is available to extend the life of cushions used outdoors and for boat seating. Chair pads are custom made to fit your seating. Choose from knife edge, boxed or blow-filled styles. Add a ruffle or contrast welt and ties to suit your style. Calico can create this product for you in your choice of fabrics and trims, to your exact specifications. Suitable fabrics include most tightly woven fabrics with the exception of sheers. 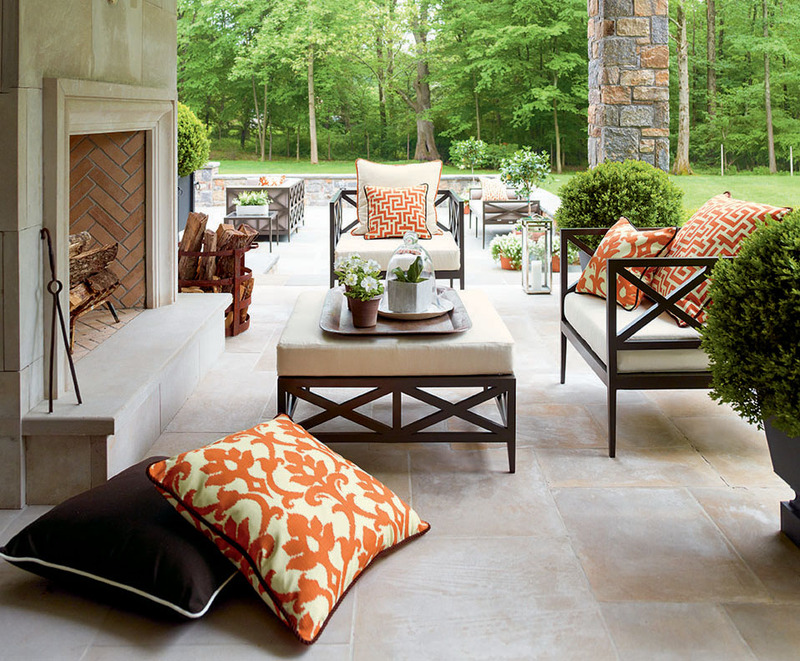 Outdoor fabrics are available for sunrooms or outdoor rooms.